Of course, Backbone Entertainment had to actually mail me the limited edition Space Invaders print that we're giving away in this week's contest, and today I got this rather attractive silver package in the mail with said prize. 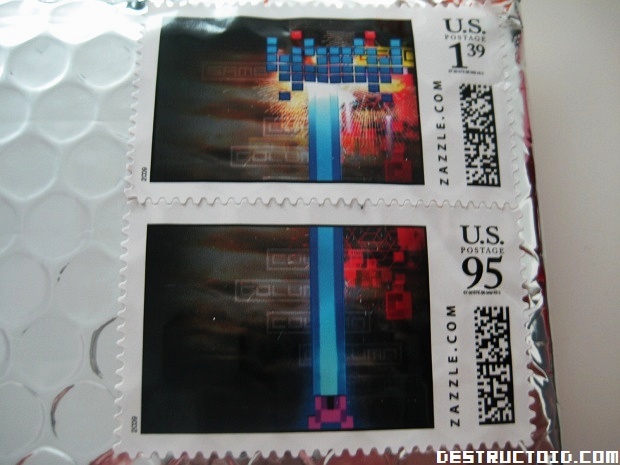 Upon closer inspection however, I noticed that the package was sporting two very special stamps with actual screenshots of Space Invaders Extreme on them. Uh ... coolest stamps ever?